Richard Priebe was my first doctoral student at the University of Texas at Austin and one of the best. A former Peace Corps volunteer in Nigeria in the mid-1960s, he arrived having already gained a strong interest in African literature. In addition to serving as a popular and effective teaching assistant in the English Department, he as a graduate student wrote papers on African writers that were published in Research in African Literatures, Journal of Commonwealth Literature, Ariel, Issue, and Benin Review. He also edited for the Harry Ransom Center a survey of Letters and Manuscripts from Southern Africa and was part of the team that edited Palaver: Interviews with Five African Writers in Texas in 1972. His doctoral dissertation on “The Development of a Mythic Consciousness in West African Literature,” supplemented with some of his later articles, subsequently appeared in print as Myth, Realism and the West African Writer. During and following his time in Austin, Richard became one of the founders of the African Literature Association. He and Tom Hale organized a meeting at the 1974 African Studies Association conference in Chicago to discuss the possibility of establishing an ALA, at which it was decided to hold an inaugural conference in Austin the following spring. Richard remained engaged in promoting and participating in that conference even though he was by then teaching at Virginia Commonwealth University. He and Hale went on to edit not only The Teaching of African Literature, the selected proceedings of the second ALA conference held at Northwestern University in 1976, but also Artist and Audience: African Literature as a Shared Experience, the selected proceedings of the third ALA conference held at the University of Wisconsin at Madison in 1977. Some years later Richard co-edited with Louis Tremaine and Angelina Overvold The Creative Circle: Artist, Critic and Translator of African Literature, the selected proceedings of the 27th conference of the ALA held in his hometown, Richmond, Virginia, in 2001. In 1999 he had been elected as the 25th President of the ALA. When I returned from Nigeria, I heard reports of Kofi’s farewell party at which he had slaughtered and roasted a goat, horrifying some of his neighbors but not any of those who were enjoying the festive celebration. In 1980-81 Richard joined Kofi in Ghana by teaching as a Fulbright Fellow at the University of the Cape Coast. Much of his scholarship around this time focused on literary developments in Ghana, notably the emergence of a popular literature, including writings in pidgin as well as fiction in English produced by Awoonor, Ayi Kwei Armah, Joseph Wilfred Abruquah, and Samuel Asare Konadu. In 1988 he edited a collection of essays by colleagues entitled Ghanaian Literatures. Former students at Virginia Commonwealth University remember Richard as a kind man who had a passion for African literature and taught it well. Friends who knew him in Texas recall that he was a connoisseur of wine who as a sideline used to brew beer in his bathtub, several bottles of which happened to explode in his refrigerator. He remained fond of fishing throughout his life and wrote articles about his experiences with rod and reel in later years. Last summer, when driving from Virginia to his favorite deep-sea fishing site near Vancouver, he chose to stop by Austin, which was not exactly en route, in order to say hello and reminisce about the past. He was the same genial companion I had always known, enthusiastic about what he was doing and pleased with the interesting career he had had as an Africanist. 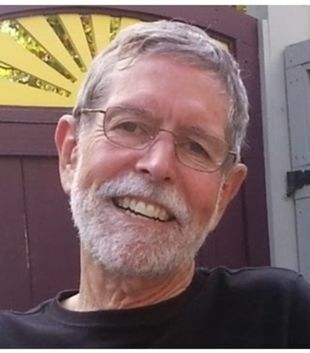 One report of Richard’s death said he had been out jogging early in the morning when he was struck and killed by a pickup truck a few blocks from his house. Another account mentioned he was accompanied by his Labrador retriever, a dog he loved. He was the kind of person who would have been happy to know that his pet had survived. Richard, Reinhard Sander and I were Ben Lindfors’ first Ph.D. students at the University of Texas when he first arrived there in 1969. We were a lucky group since over the years Ben brought a host of great writers of African literature to the University, among them Chinua Achebe, Okot p’Bitek, and Kofi Awoonor. We took classes with critics like Janheinz Jahn and Sunday Anozie. It was an immersion in African culture we could not have experienced anywhere else or at any other time and Richard, having spent two years in Nigeria as a Peace Corps volunteer, knew how to make the most of it. One day he called several of us over to his and Barbara’s house in Austin for an African goat roast in honor of Kofi Awoonor. A pit was dug and Kofi and Richard told stories while the goat roasted. Richard’s stories about Nigeria helped persuade me to go there on a teaching stint a few years later. His love of fly fishing prompted me to take that sport up. I last saw Richard three years ago in Tofino, British Columbia, where he spent summers salmon fishing. He asked my wife and me over for dinner, then asked if we had any salmon to bring with us since he hadn’t had a chance to get his boat on the water. We brought over a salmon we’d just caught and Richard prepared it sashimi style, in small slices on toast. Whatever Richard did he did it intensely and passionately, even cutting up a salmon. It was a memorable meal.